The package not only includes your choice of lodging, but it also allows guests to embark upon the Helicopter of the Smokies Grand Tour and the Heritage Carriage Rides Romantic Package. Included in the package is the Helicopter of the Smokies Grand Tour. 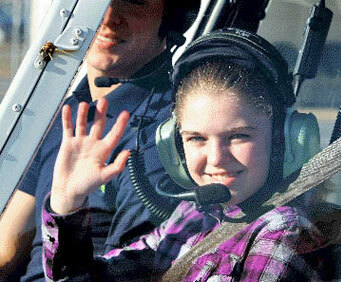 On this high-flying tour, guests will be treated to some of the most stunning views in the area. Soar above the Smokies for an unforgettable experience - just don't forget to bring your camera along with you. With the Heritage Carriage Rides Romance Package, guests will be able to enjoy the fresh air while embarking upon a wonderful horse-drawn carriage ride. Not only will you be able to see some beautiful sights, but this fairytale experience includes a dozen roses and a CD with the experience's pictures. The Smoky Mountains Romance / Honeymoon Package also includes two nights lodging in the Gatlinburg-Pigeon Forge area. Whether you want to stay in a secluded mountain cabin or in a hotel right in the middle of the Parkway, we've got plenty of lodging options for your romantic getaway.